Yes, that’s right. 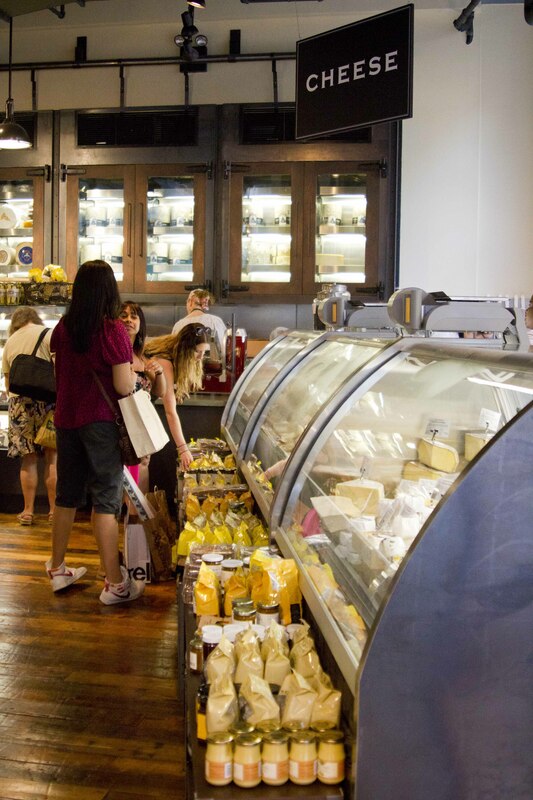 New York City is the proud home of a brand new cheese palace called Beecher’s Handmade Cheese. 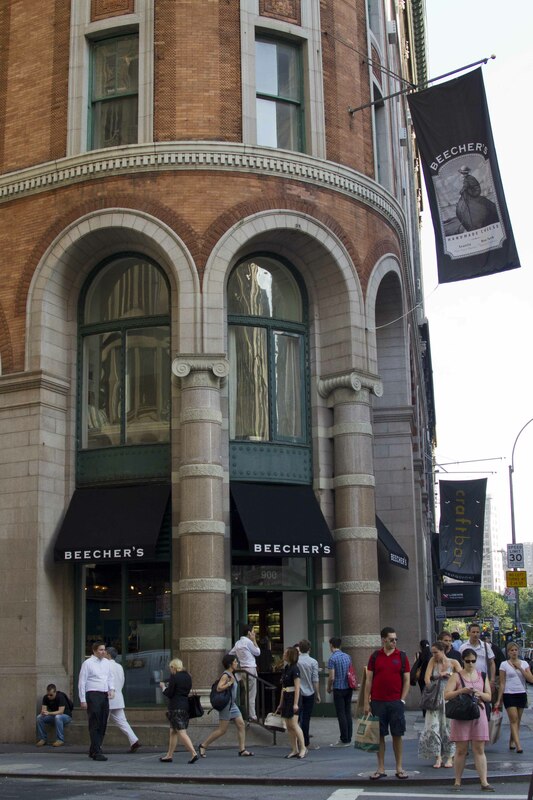 Beecher’s comes to our city from Seattle’s Pike Place Market, where it opened in 2003, becoming the first artisanal cheese maker in Seattle! 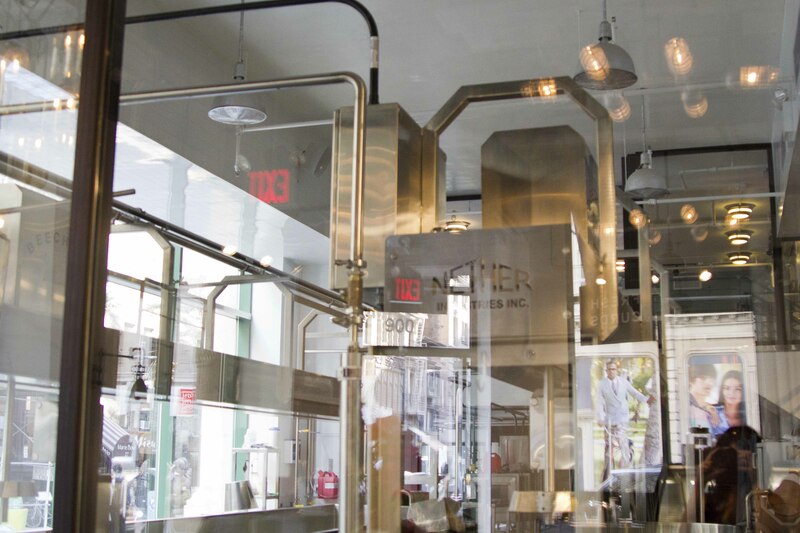 Now we’re lucky to have their second retail store in the Flatiron district of Manhattan. The shop opened on Monday so of course I HAD to go check it out this week! 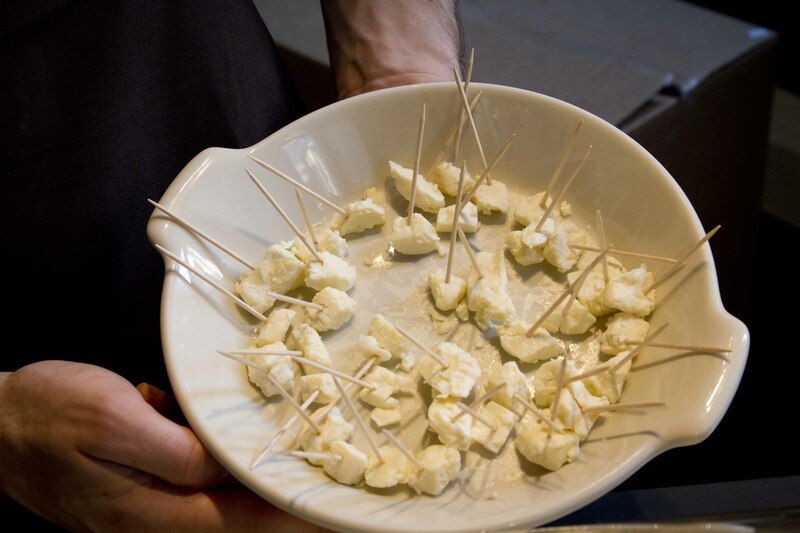 As I walked in the door I was greeted with a sample of delicious fresh cheese curds made in house that day. Cheese curds are super yummy – with a simple, mild cheesy flavor and a springy/rubbery texture. They sort of squeak when you bite them! I read that in the midwest, it is common to find fried cheese curds at carnivals and local food joints. That sounds divine – like mini mozzarella sticks (yes, mozzarella sticks are my weakness from back in the day. 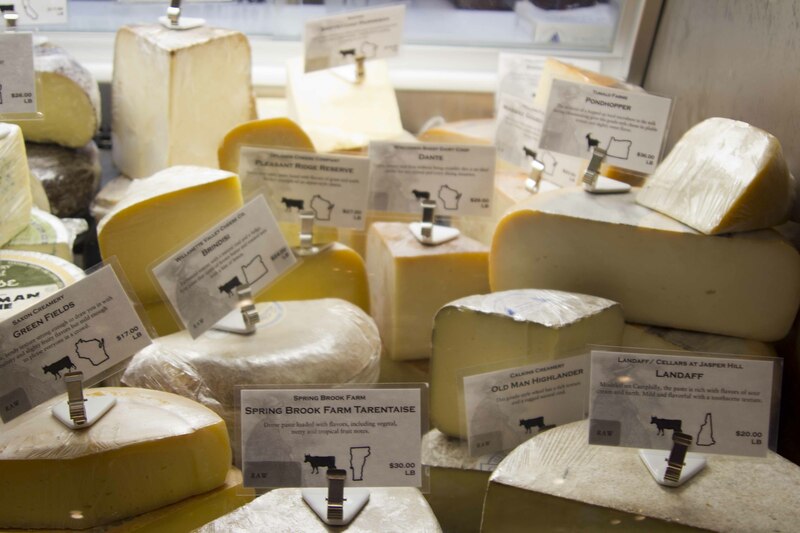 I was always a cheese lover – even before I had access to all these fancy cheese shops!). Cheese curds made fresh in house! Anyway, cheese curds only stay fresh for a matter of hours, which brings us to the coolest part of Beecher’s… they have a cheese-making facility right inside the store where they will be making their Flagship cheeses (but with fresh milk from Albany). It’s awesome that cheese is now being made right in NYC! Here’s a peek at the cheese-making room. They weren’t making anything when I was there so I’ll have to go back for another visit soon. 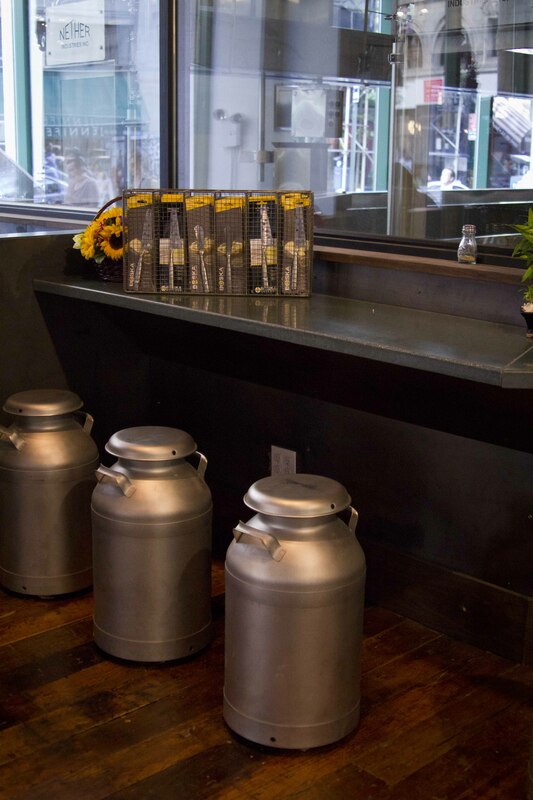 In fact, they have little stools set up so you can grab a sandwich (or some cheese and crackers), plop down on an old milk container and watch them make cheese through the glass. Sounds like an excellent way to spend an afternoon! Pull up a milk container and watch the pros make cheese! PS… I kind of want milk container stools in our new apartment. Aren’t they cool? 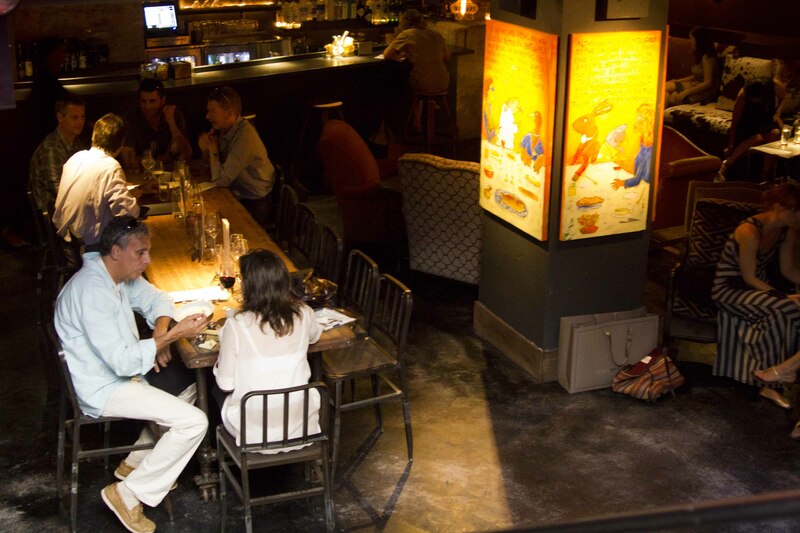 Even more amazing… they have a little cheese lounge called “The Cellar” downstairs, where they serve a full menu along with wines and spirits. They also use the “Cellar” to age their Flagship cheeses made upstairs in the cheese kitchen! Awesome. Ok – so I did my browsing… it was time to head over to the cheese counter and make a selection. 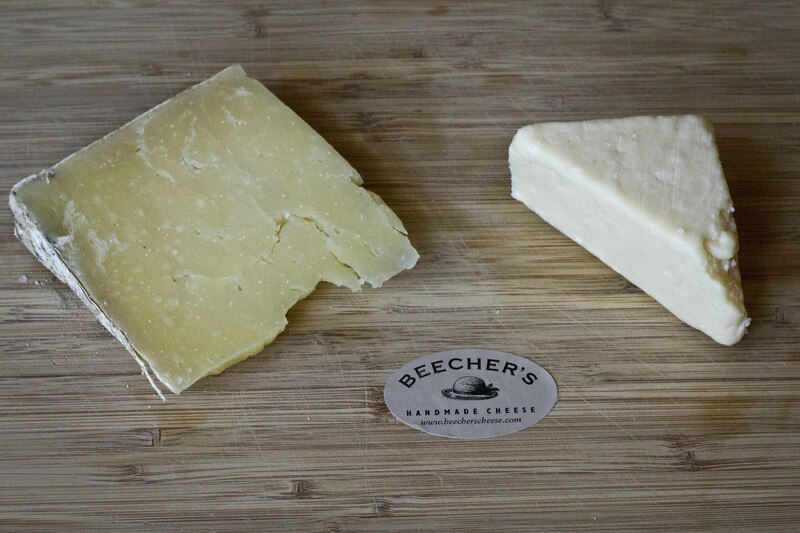 Beecher’s Flagship Reserve – made with the very best of the milk and wrapped in cloth to age, which results in the cheese losing about eighteen percent of it’s moisture and the flavor being even more concentrated! Beecher’s Flagsheep – made in similar fashion as the Flagship but with the addition of sheep’s milk and then clothbound and aged to nutty, sweet perfection! All of the cheeses were DELICIOUS … and all very different in flavor than the Cabot Clothbound. I think I’ll just have to alternate. In the meantime, I brought home two cheeses: The Four Year Aged Flagship and the Flagsheep. Four Year Aged Flagship – smelling it, I am brought back to the toasted cheese sandwiches they used to serve for school lunches… the best part, was when the cheese melted down the side of the bread and got extra toasty and sort of caramelized. This smells like that. Yum. When I pop a piece in my mouth, I am overwhelmed with flavor. The texture is firm but creamy with the little crunchies that I love. It’s salty and tangy and nutty and rich. Wicked tasty. Flagsheep – this one has a milder, nutty, sheepy smell (not barnyard sheepy – but that lanolin kind of sheepy). Tasting this one – it’s a little more subtle than the four-year Flagship. I can taste the sheep’s milk – it’s still nutty and tangy (but less tangy) and the finish in my mouth is sweet – like the sweet taste in your mouth after you drink a glass of fresh milk. Mmmmm. Wow. So excited to go back and try more! And I can’t wait to go to the Cellar for dinner. 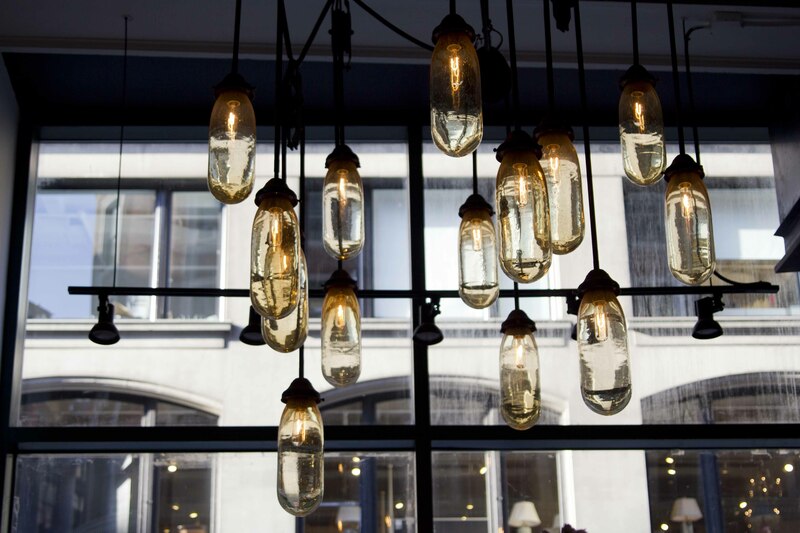 They have a super appealing menu with six varieties of mac & cheese, a whole mess of artisanal cheeses, charcuterie, veggies, salads, soups and main courses. Anyone want to join me next week? Finally – on a non-cheese note, Amie and I are doing the pillow shoot tomorrow, so I have no pictures to share today. I got hired for another photography gig – shooting photos of an apartment for the broker who found us our place! I did it today and had a lot of fun! It was stress-free, I was able to get great results from the equipment I have and I love getting a sneak peek into new apartments! Maybe I can turn this into a little side gig. As for this fourth of July weekend… we are in pack/organize/purge mode! So enjoy the weekend and the fireworks everyone! And goodbye June – hello July! I forse che lavora per beecher in settembre. that´s your dream come true in NY!!!! you must have been very happy with this opening!!! oh yes I am Ellen! what a great place! thanks for reading and saying hi! Sounds like a really fun outing! Thanks for sharing Nell! Have fun packing, purging, planning, preparing!! !